New technology is continuing to change marketing as we know it. With new capabilities on social media and constantly evolving cell-phones, it's important for marketers to stay up-to-date with all the recent changes. See what's new with social media, mobile, and AR in this week's inbound marketing highlights. 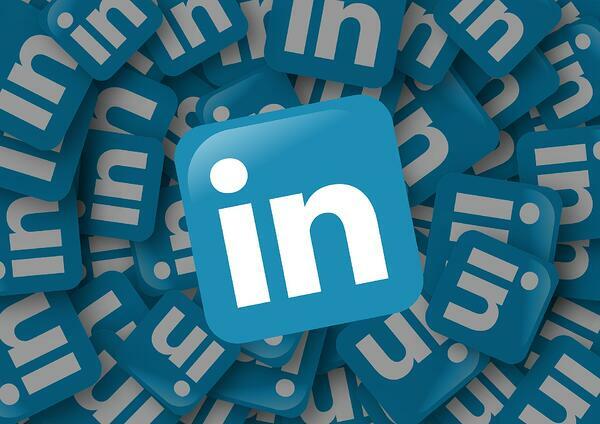 LinkedIn rolled out a strange, new feature this week and the reactions to it are mixed. Users now have the option to send a voice message, up to a minute long, through LinkedIn's direct messaging platform. The idea behind this new feature is that people you've never met can now hear what you sound like virtually. LinkedIn, is one of the least scandal-ridden social media platforms today and can only gain favor through this addition. However, the move is a little surprising since traditional mobile voicemail is becoming increasingly less favorable. Every once in a while, you see a brand sway from what's expected, in order to take a stand for change. And that’s exactly what Burger King did in their new “Chick Fries” ad. The idea of this ad was to raise awareness for the Pink Tax. For those who don’t know, the "pink tax" refers to how products marketed to women usually cost more than those marketed to men. According to the ad, products marketed to women cost more 42% of the time. A notable example of this are women’s razors which are almost double the price of men’s razors, despite the only different being is their pink color. In the ad, Burger King illustrates this principle by swapping out their classic Chicken Fries packaging and instead gives female customers a pink box. The regular boxes cost $1.69 while the pink ones cost $3.09. This ad does a good job raising awareness for equality issues while also promoting their chicken fry. This is one of many feel-good, do the right thing, Burger King commercials in recent history. They also had a commercial about standing up to bullying, as well as a commercial about the new Net Neutrality. By staying relevant in hot topics, Burger King is able to join the conversation while also promoting their brand. When it comes to Virtual Reality and Augmented Reality, many people are under the impression that the technology is the same. However, many advertisers are finding that the two are very different. While VR headseats were on the rise for quite some time- they are now starting to stall out with 1 million fewer sold this year than expected. Another challenge of marketing with VR is that nobody is carrying VR devices around with them (at least not yet). AR on the other hand is the most immersive way to get people to experience a product virtually. AR is already being used by many apps available on cell-phones. You probably know AR best from the Snapchat filters that allow you to alter your face. Here's some other advancements in the technology. Facebook has finally launched their long anticipated, "group watch party" feature. This tool lets multiple users watch and comment on the same video in Facebook Groups simultaneously. “We’ve been focused on building new ways to bring people together around video, create connections, and ignite conversations; Watch Party is the next step in bringing this vision to life,” says Facebook Product Manager, Erin Connolly. While some thought this new feature of group watching a video was impersonal and the epitome of first-world garbage, the new feature is actually showing great results! The beta tests were showing very high engagement and was well-received by everyone testing it. There are many factors making mobile marketing increasingly complicated. We recently discussed how the 5G cell phones will change mobile marketing as we know it, but are we ready for other disrupters? Experts are saying that we are moving towards a smartphone duopoly. The two phones involved in this being: the iPhone and the Samsung. While these two phones are occupying 30-40% of the market share each, other phones are being left in the dust. So what does this mean for marketers? As we approach a two phone duopoly, experts are expecting these brands to merge and buy software from their smaller competitors in order to gain market share. Imagine the impact it would have if Android one day changed their default search bar from Google to Bing? That likely won't happen, but these are they types of impacts this duopoly can have.